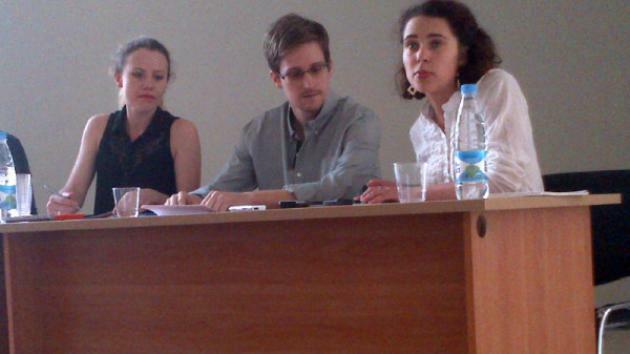 Edward Snowden has applied for temporary asylum in Russia, officials say. The Federal Migration Service confirmed he had completed the relevant paperwork at Moscow’s Sheremetyevo airport, where he has been for the past three weeks. Whistleblower Edward Snowden, 30, is wanted by the US for leaking details of government surveillance programmes. He has no travel documents, so he has been unable to take up asylum offers from a number of Latin American states. Edward Snowden’s application for temporary asylum was completed with the help of Russian lawyer Anatoly Kucherena, who has strong links with the Kremlin. Anatoly Kucherena said the fugitive had stated in the application that he faced possible torture and execution if he returned to the US. According to Russian officials, Edward Snowden might be moved to a facility in the airport for accommodating refugees while his application was processed. Russia’s President Vladimir Putin has refused to hand over Edward Snowden to the US authorities, but also said that he could only stay in Russia if he stopped leaking secrets about US surveillance schemes.